March 29, 2015 November 12, 2017 Nicolle1 Comment on First Edition of Dutch Comic Con is a Success! First Edition of Dutch Comic Con is a Success! 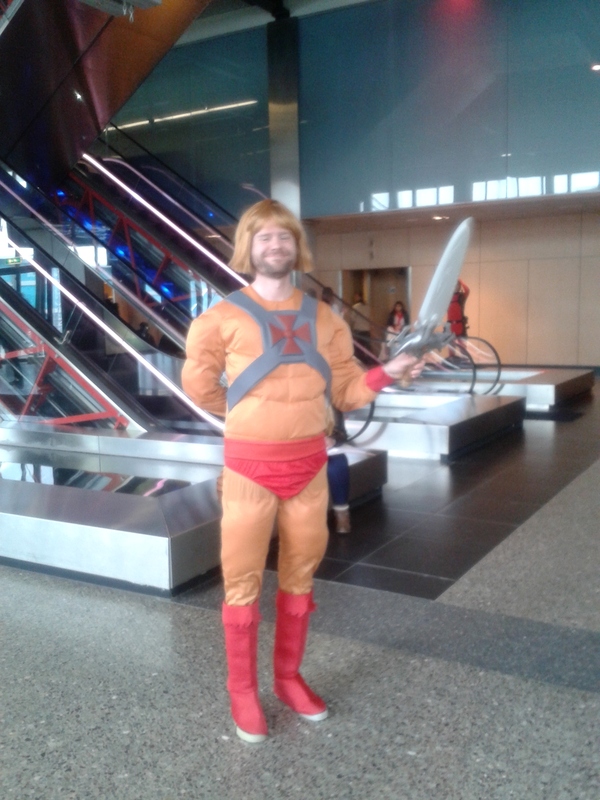 The first edition of the Dutch Comic Con was a success. Despite some negative press around the event, it drew a decent amount of visitors. Should you go next year? Yes, and let me give you three reasons why! Dutch Comic Con was the source of much internet drama before it started. The organizer was accused of being a fraud, many artists and actors cancelled, and everyone expected it to be Dashcon. In the media, DCC itself tried to paint a very positive picture, which was also not appreciated by everyone. The organization estimated about 35.000 visitors, and it were certainly not as many, but I do think several thousands of fans each day had a pretty good day! Using the “comic con” name of course helps. Among Western geeks, (San Diego) Comic Con has a good reputation. I would say most of them even have a very romantic, imagined idea about Comic Con. They have never been, but they might follow updates about the convention online, hear it referenced in pop-culture, and some might have seen documentaries about it. I was more surprised that some of my geek friends were actually like: ‘Finally, a real convention in The Netherlands!’ Never mind that we have tons of anime conventions and SF/F conventions like Imagicon. I understand their reaction to some degree though. 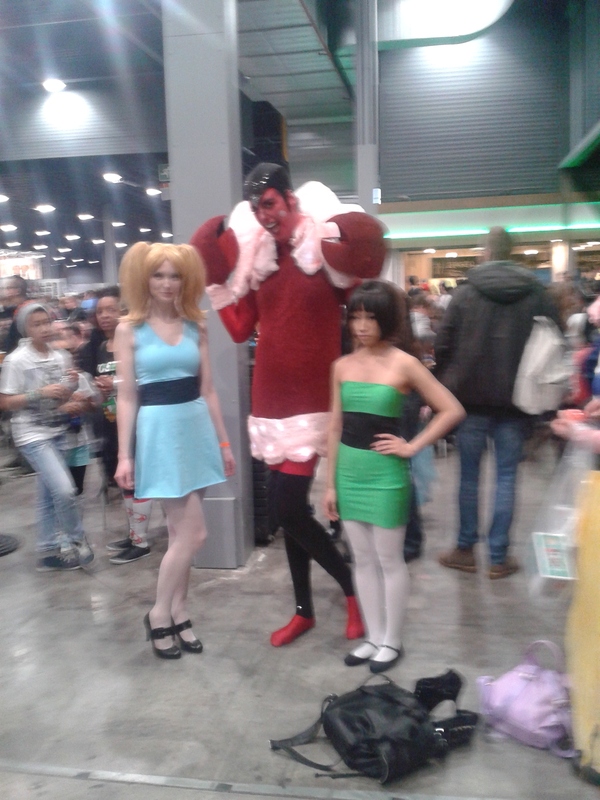 A lot of conventions in The Netherlands are aimed at very specific fandoms like anime or fantasy fandom. Though we have comic markets (stripbeurzen), these are generally not all that geeky or international, but aimed at European comic collectors. What I loved about the con was how, like the outdoor event Elf Fantasy Fair, it managed to attract together different groups of fans – comic collectors, SF/F afficianado, Since it is indoors, it has a lot more potential than the large outdoor fairs that are every popular in The Netherlands – more room for panels, a game room and screenings. The con had a pleasant setup. At the entrace, there were tons of iconic cars from Ghostbusters, Back to The Future, and other classics. Game booths and artists tables were also put in the first hall, which looked nice and spacious. The market area was quite busy though. There was a third hall with a large stage for events such as the cosplay competition and Q&As with the stars. Many guests had dropped out though, so the event program was not as fantastic as we had hoped. The cinema with screenings was quite iffy. Horns was shown six times, and nothing else. That can be improved, definitely. If you went to shop, you were in for a treat. The booths were diverse and fun. Though some shops were quite expensive, others like American Book Centre and Henk were quite generous and always willing to strike a convention deal. I was quite surprised by how many game magazines and companies attended. From companies like Ronimo and the Dutch Game Garden to popular press such as InsideGamer and Gamer.nl. Several of the game booths catered to the convention theme. The Power Unlimited booth – a very popular Dutch game magazine – presented the best comic games of all times. I thought that was a rather smart move. It’s been a while since I visited a con as a visitor just to enjoy the atmosphere and explore. I really enjoyed walking around at DCC and looking at the many different costumes. For a first event, it drew quite some interesting costumes already, but like I said, there is already a strong fan & geek community in The Netherlands. So let’s see what they made! Here are some snapshots (my camera died pretty early….) of very different outfits that draw from cartoons, games and movies. A good hallway costume doesn’t have to be perfect, as long as we can see what it represents and get it. Two cosplays that made me very giddy were this female Inspector Gadget and a girl walking around with a Glow Cloud (All hail!) from Welcome to Nightvale. Good times and lots to see! Give it another few years, and we might have a decent expo that is in line with the Belgium F.A.C.T.S. and hopefully something that approaches MCM Comic Con. I look forward the second edition and hope that they continue this effort! What I dont really get is why this was a succes and Epicon had to cancel their events earlier this year. I guess the name really helped big time.